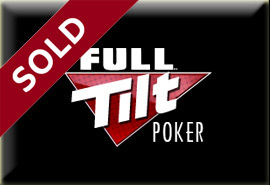 After a majority vote by shareholders the sale of Full Tilt poker to Groupe Bernard Tapie is one-step closer to becoming a reality according to a report by Diamond Flush at Subject Poker. According to the article, multiple sources told the author that the vote passed allowing Full Tilt poker to forfeit its assets to the US department of Justice, which would then in turn sell those assets to Groupe Bernard Tapie –assuming everything goes to form. The article also brought up the matter of current shareholders buying back into the new Full Tilt poker company headed by GBT. According to the sources, “current owners that are interested in receiving equity in the new company will be required to purchase minimal shares at an agreed-upon price,” however, current Board of Directors members would not be eligible and all shares by current owners would be “passive”, meaning they would have no input on managerial decisions. Now everything depends on just how airtight the previously reported agreement between the DOJ and GBT really is. According to previous reports, GBT will now purchase the Full Tilt poker assets from the DOJ for the sum of $80 million, as well as taking the burden of the estimated $150 million owed to Full Tilt poker players from the rest of the world. The DOJ will supposedly take control of the repayment of US players according to the reported agreement. However, it should be noted that this is all mere speculation at this point (although most of the sources are quite credible) and no official statement has been made by any of the principles involved –the DOJ, Groupe Bernard Tapie, or Full Tilt Poker. We’ll keep you updates as more details emerge in this ongoing story. This entry was posted on Friday, December 16th, 2011 at 9:20 am and is filed under Poker News. You can follow any responses to this entry through the RSS 2.0 feed. You can leave a response, or trackback from your own site.